One of the great delights of the Christmas season is the music, especially the old hymns and carols which tell the story of the coming of the Savior-King. The songs of Christmas for the most part have escaped the struggles of the so-called “worship wars”, which frequently set contemporary choruses against the old hymns. Perhaps there aren’t as many new Christmas choruses, or maybe it is because the older hymns and carols are so deeply entrenched with other holiday traditions that people are hesitant to set them aside. Christmas just wouldn’t be Christmas without the familiar hymns and carols. Indeed, even in our broader secular culture, one of the chief markers of the beginning of the Christmas season is the change to Christmas music playing in the background of the stores. 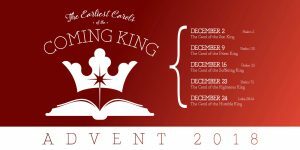 This year our Advent sermon series will focus on the earliest Christmas carols, those written before the coming of Jesus into this world, but celebrating that coming nevertheless. 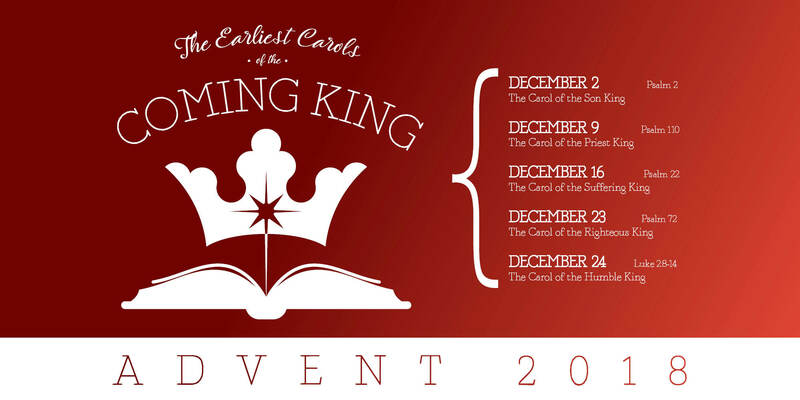 The Psalms contain several such songs focusing on the coming King who would be the Savior of the world. May a new look at these oldest of songs enhance your Christmas celebration as well as deepen your relationship with our Savior.